A great racing game provides strong replay value, no matter how many years ago it was released. Here are the five best racing game franchises of all time. Racing video games have long been a favorite for millions of fans around the world. People simply love cars and the thrill of getting behind the virtual wheel of exotic cars based on real life vehicles (like the Nissan GT-R) or race cars like Pole Position on Atari. Some of the bestselling series of all time are racing games, with the franchises below being the most successful. They have spawned sequels throughout many generations of video game consoles, acquiring loyal fan bases with each innovative release. The key to the success of racing games is the wide variety of categories within the genre. See if your favorite racing franchise made the list below. 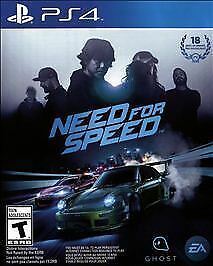 With over 150 million copies sold, Need for Speed is the highest selling racing franchise of all time. The first game in the series made its debut all the way back in 1994 on the Panasonic 3DO. Since then it has seen releases on every generation of the PlayStation and Xbox consoles, in addition to both home and handheld systems made by Nintendo. With new games in development and an established movie franchise, the series shows no signs of stopping anytime soon. Fun fact. The title Need for Speed was coined from a quote by Tom Cruise from the movie Top Gun. 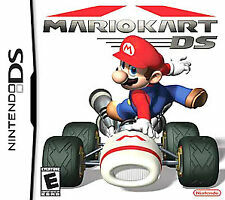 The Mario Kart franchise has been providing hours of fun for video gamers of all ages for decades. It is arguably the most entertaining racing series, with the ability for multiple players to race around a circuit at the same time. Even before the age of the internet and online gaming, Mario Kart 64 had you and three of your best friends competing together on one game console and with a single TV. In Mario Kart 8 Deluxe for the Nintendo Switch, eight players (each with a Switch console) can do battle using their favorite Mario character. If the Mario Kart franchise perfected multiplayer gameplay, Gran Turismo redefined what a realistic racer could be. Known as the Real Driving Simulator, it was originally released on the PlayStation 1. The focus of the series has been to put you behind the wheel of real cars made by manufacturers from around the globe. Many cars that were not available for sale in the US at the time, such as the Nissan GT-R and Mitsubishi Lancer Evolution, received fame via Gran Turismo video games. This played a part in the eventual sales of each vehicle in America. The franchise has appeared in every generation of the PlayStation video game consoles, even spawning online racing tournaments where the winners are given a chance to compete in actual, real-life races. The Forza Motorsports series is to Gran Turismo what Batman is to Superman. Both are equally cool and powerful in their own right. For players who game strictly on Xbox video game consoles, this is where they will find the most cars and race tracks based on real circuits from around the world. The latest game in the series, Forza Motorsport 6, offers such levels of realism that you can feel your tires driving over puddles of rain through force feedback on the Xbox One controller and compatible racing wheels. An original launch title on the SNES, the F-Zero franchise manages to convey a sense of speed that has yet to be duplicated by any other racer. Set in the distant future, the series allows players to choose from multiple players and vehicles (each with customizable attributes) on a number of gravity-defying tracks. F-Zero has consistently impressed from a technical standpoint. Even back in 1998, with the release of F-Zero X on the Nintendo 64, a total of 30 vehicles speed around circuits together at an astonishing 60 frames per second. 60 FPS! 30 racers! In full 3D in 1998! 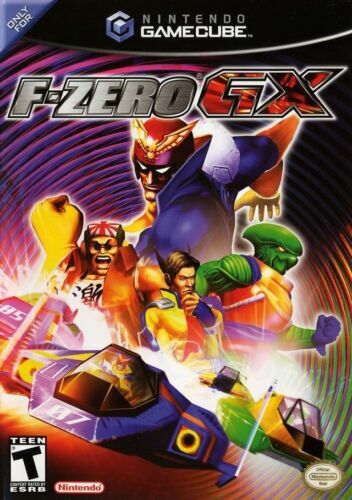 This trend continued with F-Zero GX on the Gamecube, which is arguably the best game in the franchise. 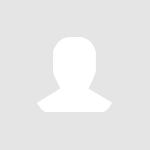 You can shop all racing games for every video game console on eBay by CLICKING HERE.